How can coding game improve kids executive functions? 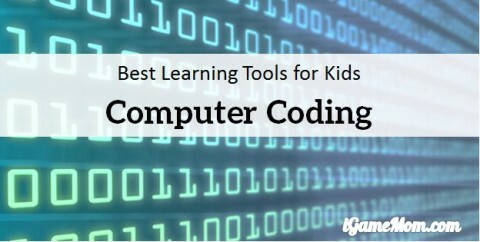 As I mentioned in the article 5 Crucial Skills Kids Need for Computer Coding, breaking down a big task into smaller manageable pieces is an important skill for any coders and programmers. It is called decompose. 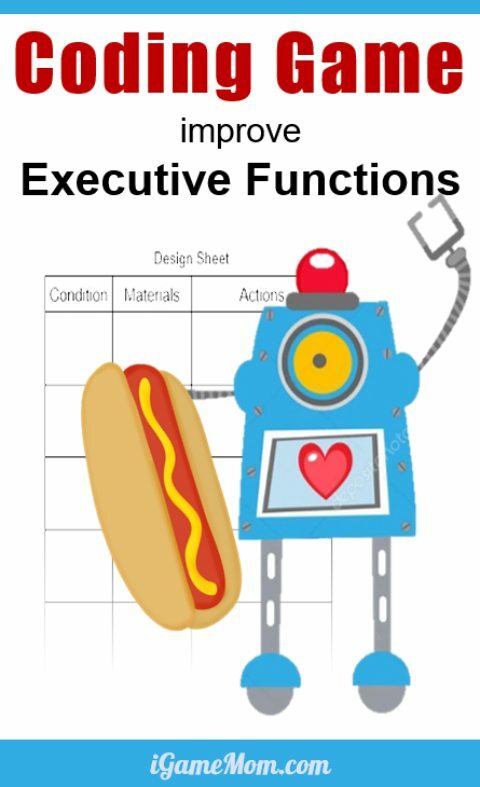 An important aspect of executive function is organization skill to streamline and to finish a project. Many studies have found that kids who can’t finish projects on time are not lazy. Instead, they have poor executive function skills. One important element that is lacking among these kids is the ability to break down big tasks into actionable steps, so they don’t know how to tackle big tasks. That is why teaching kids coding skill of decomposition will also help them on executive functions. This is a skill that is important for almost all jobs and impacts many aspects of daily life. How to help kids gain the skill of decomposition? A good start is to show them what it is like to break down big tasks into smaller ones. 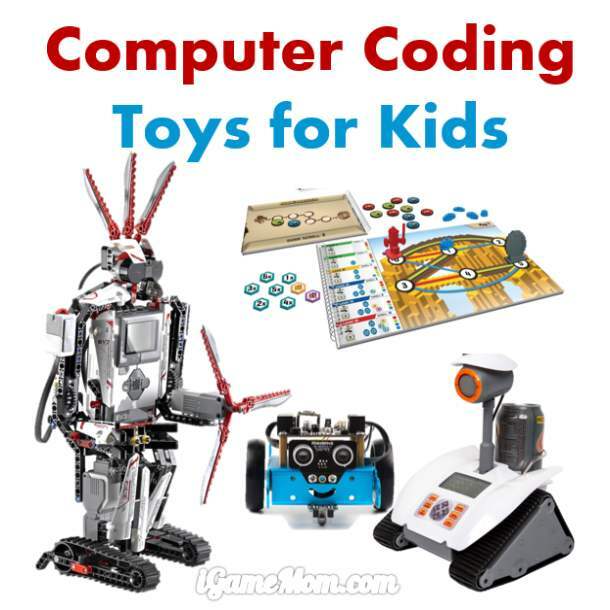 We can use coding games and fun activities to show kids how to do it. Once kids understand what it is and know how to do it, we can help them practice the skill in everyday life. We have two activities designed to teach decomposing skill. One is the extension of our Hot Dog Coding Games. Another is to use an everyday activity for kids to practice the skill. We have printable guide and template for you to use as well. You can find both at the end of this article. The Hot Dog Restaurant is doing well, and the owner needs more help. The new helper is a robot. You are asked to train the robot to make hot dogs. Since robot is not human, he is not familiar with hot dog at all, not to mention how to make hot dogs. You have to give a really detailed instruction, so the robot can understand and follow. After giving the background story, you can ask kids describe how they make hot dogs. As they describe the process, use the provided Record Sheet to record the discussion: the items they use (like bread, hot dog, ketchup) and the steps of actions they mention (for example: put hot dog on bread). When kids finish describing the hot dog making process, teachers can talk with them about the materials needed and the action sequence. Are there any materials missing? Are there any steps skipped or out of order? You can use the Process Sheet as a reference, but don’t show kids the Process Sheet at this point. 1. Distinguish between must-have materials and optional materials. If they mention ketchup and mustard, parents and teachers can point out that not everyone like to have them on their hot dogs. It is still good to include them in the instruction as options. However, it is important to tell the robot when the optional items be added: “If customer asks for ketchup, then add ketchup”. This lays the foundation when kids learn “if statement” in coding. 2. Emphasize that there are two components in the instruction: materials needed, and the actual steps of actions. Each material item is associated with an action step. For example, a plate is needed at Step 1, and bread is for Step 2. See our Process Sheet for reference. You can find the download link at the end of this post. 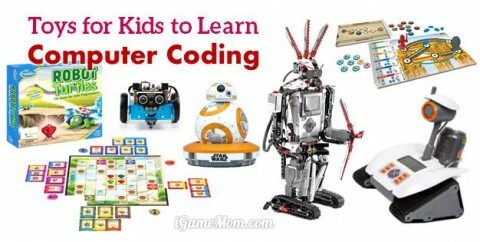 Tell kids now it is time for them to design the instruction for the robot. This is essentially the coding process. When kids finish designing the instruction, ie. the code, you can pretend to be the robot, follow the instruction, and see if you can successfully make the hot dog. Tell kids this is called test and debug. In real programming and coding, it usually takes more time to debug than to write codes. You can use the provided Picture Cards included in the game package to act out the process while testing the instruction. If you have really life materials, it will be more fun for the kids. If you have more than one child, you can group them into pairs and have them exchange their designs and check for each other. 1. Does each step have the correct materials needed for the action? 2. Does the instruction include optional steps, and how is it handled? 3. Are all the actions in the correct order? When you can successfully make a hot dog following the instruction, the instruction is finished. 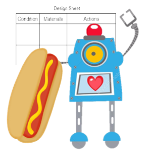 Tell kids they have just programmed the codes of making hot dogs for the robot. You can download the game from iGameMom Store. The store can’t handle VAT tax. If you are in the region of VAT, please visit our Teachers Pay Teachers store. After kids play with the Hot Dog Game, it is best to help them learn the decomposition skill through daily life activities. This is for them to get into the habit of seeing tasks in steps. For the next game, please visit Building Coding Skills With Daily Life Activities. This is part of our Coding Camp at Home. 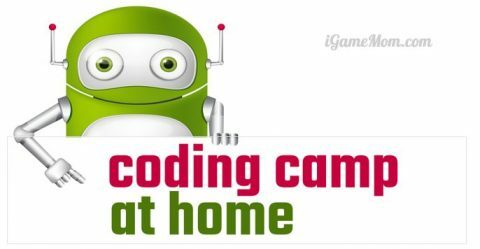 For the complete camp design and all the camp activities, please visit DIY Coding Camp at Home.